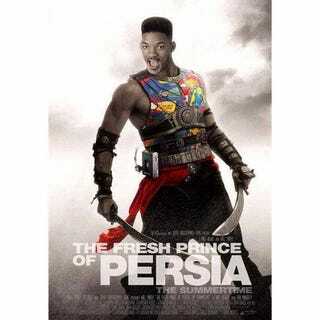 I'll tell you how I became the Fresh Prince of Persia. They said, "Seize this little punk for the murder of our dad!" But I thought, "Nah, forget it - get that dude with no hair!" I yelled to my uncle "Yo homes, smell you later!" And the princess did her part by savin' my life.